Couple of weeks back I met with Padmini Gupta, the mind behind Rise. From a personal experience with her own home helper, Padmini came with an entrepreneurial idea that would help domestic helpers across the UAE. The idea is to help anyone earning below Dh5,000 that does not currently have access to financial and banking services. To help migrants manage their finances, learn new skills and build a better future. 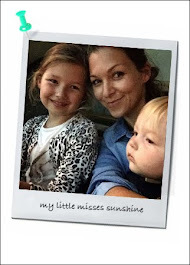 Last month, our family said goodbye to our beloved nanny of 25 years! It was time for her to go back home to her family in the Philippines. All those years, she had sent money to her loved ones back home and also managed to save for herself. Saying that, she did not have secure idea of how much she owned, her financial situation was not in her full control. We helped her but I truly believed that Rise could have set up a more stable future for her. Now that we have hired a new nanny to join our family, I am considering introducing her to Rise. It's something which benefit both parties. The free-to-download app enable sponsor families to immediately access affordable childcare and educational courses, giving domestic workers useful knowledge and qualifications to enable them to properly look after the children in their care. The company aims to help nannies grow their careers by offering over 20 digital courses. Those courses can improve their skills from picking healthy foods for children to how to create a learning environment, potty training, child safety and discipline. All the course cost between Dh50 to Dh250 and can be accessed via an app, so that the nannies can learn at home. Once a course is completed, this is logged on the app and a helper will have access to, and a record of these courses. The app charts achievements that will be useful in subsequent roles, and also when returning to home countries. A household or an employer looking for a new helper will also benefit from the childcare-specific psychometric testing which will assess a potential helper beyond the norm; giving employers added reassurance before taking the very important decision on who will care for their children. Banking with Rise, for financial freedom. Gift of a better future. The wealth management platform for migrants is aspiring to create possibilities and improve lives. It’s a good way to provide our home helpers with knowledge and growth by managing finance, learning new skills for a better future. The platform is also offering the possibility to give sponsors and their employees access to a full management tool on the app, through which employee can actually have a bank account and be in full control of their own finances. Gift of a better future and financial freedom. This is a gift I hope to give our nanny. If you are looking for a gift this festive season for your home helper you might be interested to look into Rise App and set up an bank account for her in the UAE, giving her access to a wide range of financial services. 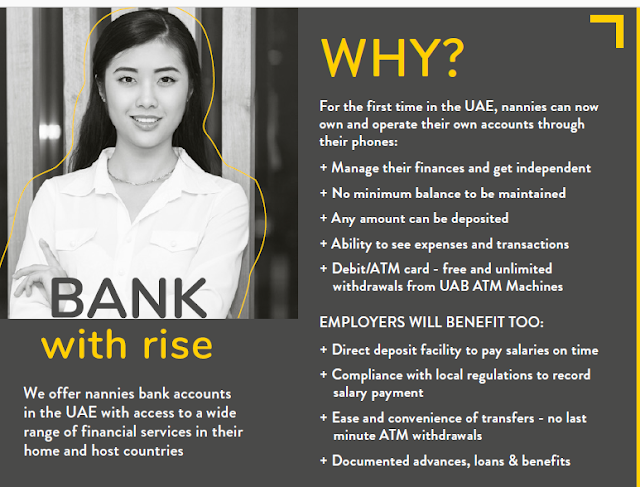 For more information on banking with Rise as a gift, visit gorise.co or download the rise app.